When standing over a putt there are always a multitude of things which can change, consciously and subconsciously, to create variables that hinder the ability to create consistency. Perhaps the number one place this happens is general alignment to the intended line at address. Last year, Cleveland Golf introduced their outside the box answer to improving alignment, the TFi 2135, and it opened eyes with its simplistic effectiveness. As such, this year we are seeing an expansion of the line to include three mallet models, the Elevado, Mezzo, and Cero. For this review THP was able to get in hand the Elevado in both standard and counter-balanced versions. Alignment reinvented. Perfect alignment, regardless of address position. We all have different putting strokes, address positions, and club preferences. And setting up over the ball perfectly every time is impossible, leading to mis-alignment and off-center hits. As a result, we have developed an alignment technology that allows you to correctly align your putt no matter your setup. We call it 2135. There are too many things to worry about when you are trying to make that putt to save par. Alignment doesn’t have to be one of them. The idea behind 2135 is simple, by placing the alignment line at the radius of the golf ball, a focal point is created that makes it possible for golfers to get a consistent alignment of their putter to the chosen line regardless of if their eyes are behind, over, or past the ball. The fact is, all golfers are unique, therefore by creating an alignment aid that eliminates false alignment you now make it possible to create consistency and confidence regardless of the posture. This reviewer has no problem admitting to being one of the biggest pessimists as it pertains to the 2135 ideology, but seeing is believing. 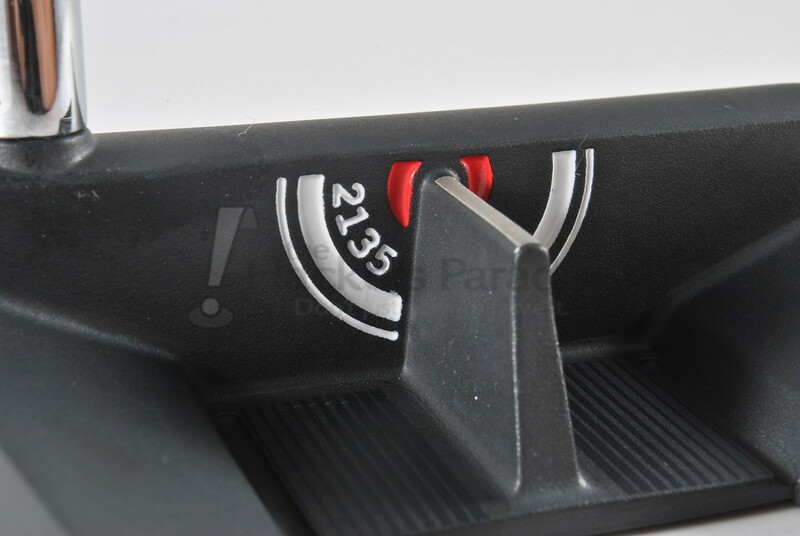 As a golfer who subscribes to keeping eyes over the heel of the putter and not the ball, the feeling that the putter was set-up to the selected line at setup with the 2135 was revelatory. Time was spent intentionally manipulating posture as well as eye position and regardless of the position the alignment felt comfortable even when well outside of typical setup. In the end, what is certain is that 21.35 mm does not play tricks on the golfer like a standard flange alignment aid, and that leads to confidence, which is everything in putting. It may not be aesthetically pretty, but it works. Cleveland has elected to utilize an insert in the 2135 putters as its lighter weight allows for saved mass to be repositioned which adds to the putters MOI and how it responds to misses laterally on the face. Typically though, feel/sound is altered significantly with an insert, so a milled copper infused aluminum piece has been added, giving the TFi back some solid/firm undertones. 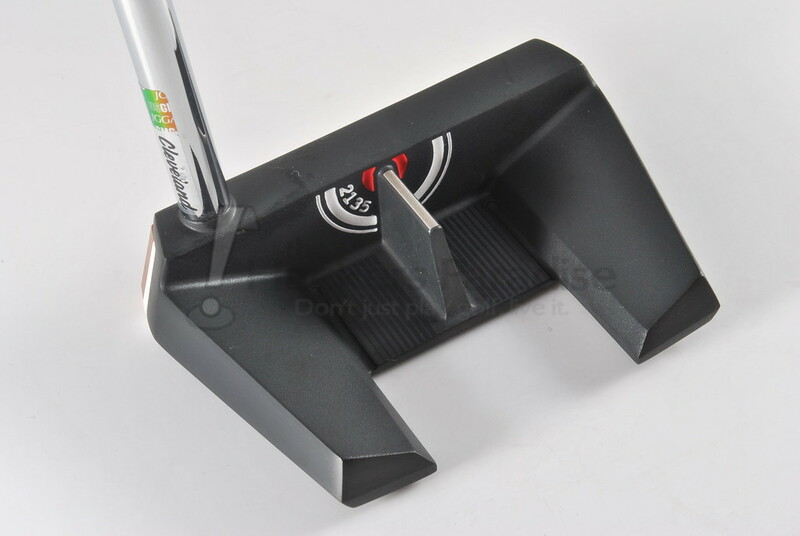 The TFi insert combined with the higher MOI of the Elevado headshape lead to one of the more stable and consistent mallet putters this reviewer has worked with. Putts across the face tracked on the line with minimal deviation and pace retention was better than anticipated with heel strikes losing the most distance overall. More than that though, the putter keeps some firmness within its face design to provide a unique but comfortable sound/feel. The Elevado putter is going to immediately draw comparisons to the #7 headshape, but upon a closer look it’s more angular in its overall design. Cleveland Golf calls the shape “Tour Driven” and as we know with similar designs the wings/fangs on the rear of the putter adds to the balance and overall MOI. The eyes will wander immediately to the copper insert and how it pops against the simple matte black finish of the topline and brushed aluminum of the sole-plate. From address, there may be a reaction to the simplicity of the all matte look, but it’s important to keep in mind that it is intentional so the focus stays on the 2135 technology. Also, as with last year’s models, the white of the polymer insert is visible which will be hit and miss for users as it makes for a somewhat “busy” look compared to other putters. The Elevado model is available in two different versions, standard which weighs 370g and a counterbalanced option with a head-weight of 405g. Obviously, both are pretty hefty, but the head did a surprisingly good job of balancing that weight to where it never felt like it was commandeering a stroke. The shape does a fantastic job of squaring the golf ball at address and doesn’t cause the user to feel like they are putting with a space-ship as is the case with a lot of full-mallet designs right now. 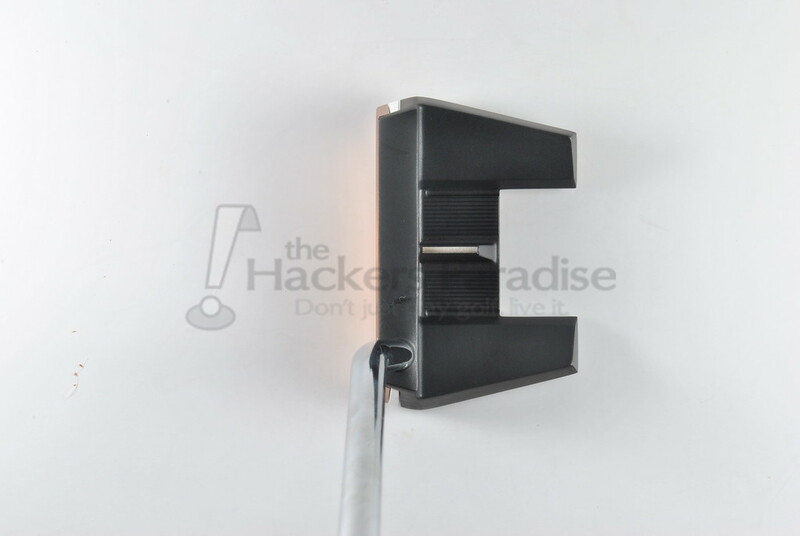 Paired with the single-bend shaft, the putter gaits well through the stroke and face-balanced design actually responded well to several different degrees of stroke arc. In all, the Elevado has a lot going for it that should appeal to fans of similar shapes and of mallets in general. The expansion of the TFi 2135 line shows that Cleveland Golf is all in on the technology and their belief that it can legitimately improve confidence and consistency on the greens. The Elevado adds a stable design and somewhat familiar headshape which should appease those who longed for a full-mallet with last year’s release. They may not be the flashiest putters on the market, but as was the case for this reviewer, the potential performance benefits have a way of shifting perspective when putts start falling on the course. The TFi 2135 Elevado is priced at $159.99 while the counter-balanced version is at $199.99. The official in-store release of the new putters is on 9/16/2016 and more information will be available at www.ClevelandGolf.com. Great review James. 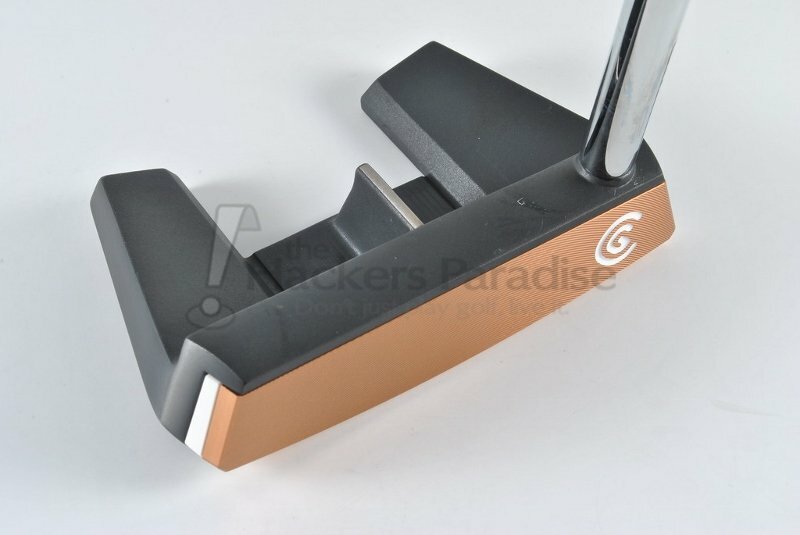 I’ve always enjoyed the Cleveland line of putters but have never games one. I will have to look into this one. Nice review. Cleveland is really improving their 2135 line. I think it may require a trip to the golf store to try one of these out! Thanks! Great review, James. I like how Cleveland is keeping the 2135 going and expanding on it with new shapes. Very solid review, James. Well done. Awesome looking addition here! Need to get it in hand! It’s good to see Cleveland take the next step with the 2135 technology. It works and when i’m off a little on my putting i’ll put this back in the bag. Great review James. 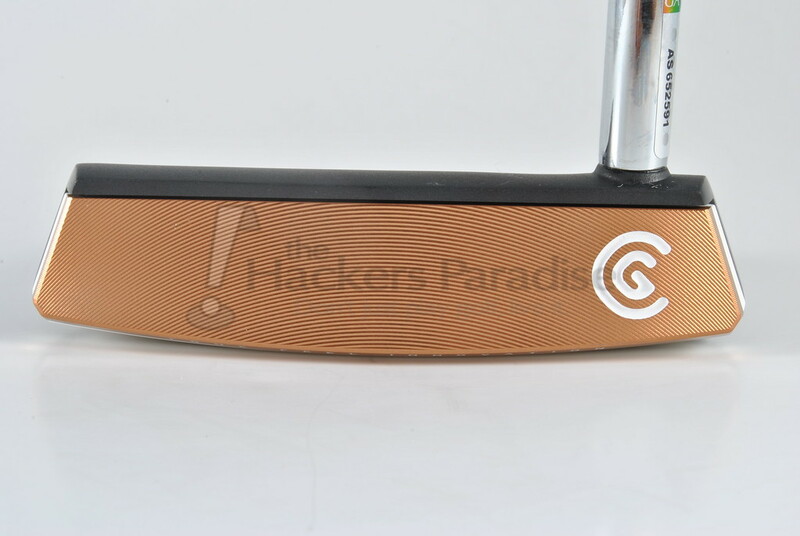 One of my favorite faces on a putter ever. I love that copper. I think this makes sense as the next evolution of this line. I really liked the CB one from last year, I would give the mallets a go. The 2135 just works.